A resume cover letter must be immaculate and still catch the attention of the person with which one is applying for work. Keeping this cover letter professional requires a few key parts. The business contact information, your own contact information, list of enclosed items, and a brief message written in business form is necessary. These items need to be placed in the correct position on the letter as well. It is important that these items are in the proper places on a resume cover letter. How to use a free resume cover letter template and tips are available below. First, add your personal information to the first set of contact information on the resume cover letter template. Make sure to use your full name and address. 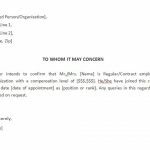 Change the date, if necessary below the personal contact information if it is not correct. Next, add the business contact information where the template says recipient information. Add the person’s name where it says recipient in the greeting of the letter body. 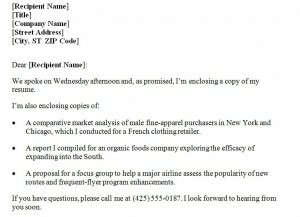 Include the reason for communicating with this person and a list of enclosed documents in the letter body. Make sure to keep the tone professional throughout the letter. Put contact information at the end of the letter, including a telephone number and any other important information such as the best time to call. Make sure to close the letter with a business ending like sincerely, farewell or thank you. Finally, save the document before printing a copy or e-mailing it. After completing the document using the resume cover letter template, make sure to proofread for any mistakes or misspellings. A resume cover letter with typos does not help one look well in the eyes of the recipient. Double check the documents that are being included. Are they all on the list in the letter body? Make sure to list each item or mention how many documents are included. When documents get lost, recipients have no way of knowing unless a list is included in the cover letter. Make sure to add something personal like, “It was nice talking to you the other day”, or “I will be expecting your call” as a way to personalize the letter. A comment on a conversation with the recipient works well in this case. Make sure that your signature is on the resume cover letter, as well. 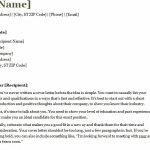 Using a resume cover letter template to generate resume cover letters is a great way to keep a template and customize the document for different recipients. Items can be added or changed as needed for greatest impact and effective communication. 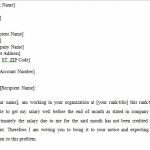 A resume cover letter template can help keep one organized and professional communication at the ready.